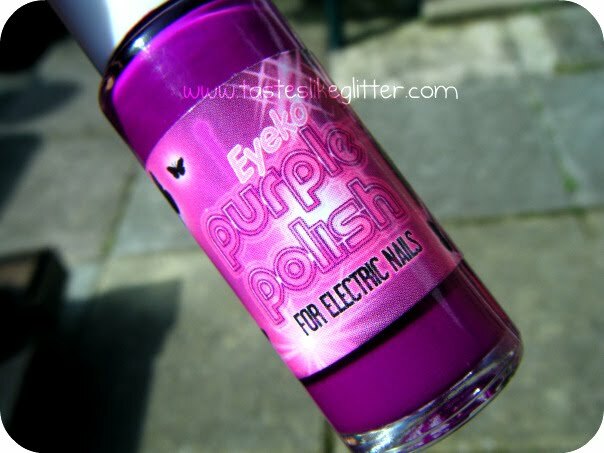 For a neon update follow in Rihanna’s footsteps and make Eyeko Purple Polish you’re A/W 09 staple for a touch of 80’s glam that will still look hot come Spring! When I got these polishes, this was the one I was most excited about. I like purple and I like bright. It's a creme polish that dries semi matte. Which is a pet hate of mine. Either dry super shiny or super matte! Not in between. Anyway, I painted my nails late last night as the sun was going down so until I woke up this morning, they looked fine. Until I got them under some daylight and noticed all the air bubbles! They're most noticeable if you enlarge the last photo and look at my middle nail. They are far more noticeable in real life than they are in the photos though. I didn't shake the bottle or do anything to it before applying so I'm wondering if it's the formula?! Either way if it wasn't for that, I might like it more. I'm sure all you beauty bloggers are aware, purples are notorious for colour shifting and not photographing true to life. This is of course the case with this. The colour is a lot deeper and less pink looking. Overall I have mixed feelings about this polish. It dries quicker then the rest of the Eyeko polishes I was sent and it's a nice colour but the bubbles and semi matte-ness stop me from truly loving something that I thought had the potential to be amazing. 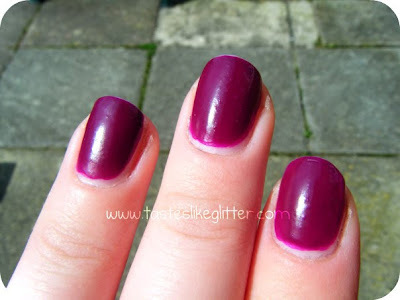 If you have this polish did you have any trouble with air bubbles? Do you like this colour? Let me know.